For about five months, I haven't been sure if I'd be training on my own or with a group for the next year. For five months, I've been on my own. 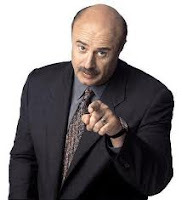 Dr. Phil would look me dead in the eye and say "And how's that working for ya?" It hasn't. I can't remember the last run over a 5K. Yesterday, after five months of stepping away, a discussion on how to make group training work for our family began and we came up with a plan to make this work, hopefully, for our family. So, for 2011/2012. I am training with Get Fit. I'm limiting my group runs. I am limiting myself to group training for a half-marathon only. So, I'll be switching my Rock 'N Roll Savannah entry to a half (I think that has to happen at the expo in November.) I'm scouting out maybe a mid-summer HM - maybe a few others. My fall race goal: 26 seconds per mile off PR pace. (I thought about 26 minutes off PR, but that's a 2 minute/mile drop and I'm just not sure that's realistic. 26 seconds per mile is a ~6 minute PR. I think that's obtainable. That's a 10:50/mile pace for 13.1 -- or a 2:21:55 HM. As far as triathlon, I'm stepping away from longer distances. I may do a few shorter (sprint/oly) races, but no half ironman for 2011. I don't know if that pushes IM out of 2012, but we'll see. I am not specifically training for any event. I'm going to cycle with family & friends. I'm going to swim when I can. I want to focus on my overall fitness level. I want to focus on nutrition. I want to focus on dropping some of the extra weight, and I don't think marathon training/half iron training is the means to an end. With IM 2012 still on the back burner, these are things I need to address now - well before that training cycle starts. My overall fitness goal: I will drop 26 pounds in next 12 months. I also want to participate in the CrossFit Games in 2012. Sure, Sure, I could have probably given it a go this year -- but seriously, the first week's workout included Double-Unders. I can't do more than 1 without whipping myself with the jump rope. I need to work on skills, form. CF Goal: I will complete Level I & II testing before CF Games 2012. Wow, we have v. similar goals. I love this Lauren!! I too felt the same way about games. With CF, you can't fake it. You have to know these skills. And it's really motivating! A half marathon is still a great thing to work towards! When is the Savannah half? Maybe I'll do that one too. I heard it's pretty flat. I'm actually thinking of doing the Atlanta Marathon relay. Are you interested in that? Love the Dr. Phil honesty... I am trying to do more of the group runthing this year as well. I know I *can* train on my own but doing it with a group gives a whole other level of accountability. Get Fit is such an awesome group. I hate that I am on the other side of the perimeter from most of their training sites for triathlon. It was so GREAT to see you back at it. I will help keep you accountable if you will do the same to me. I know you can do the 26 seconds and 26 lbs. You are a true inspiration!! !